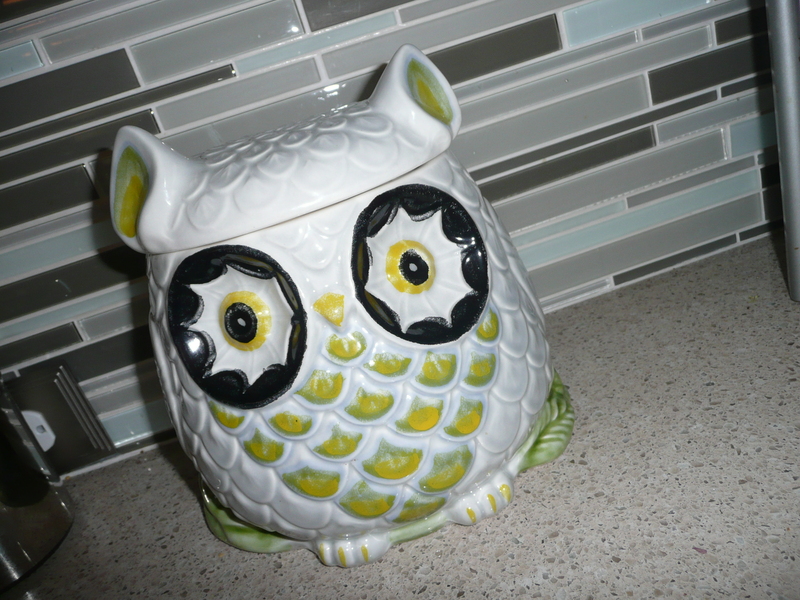 my sweet hubby surprised me with this cute owl cookie jar. 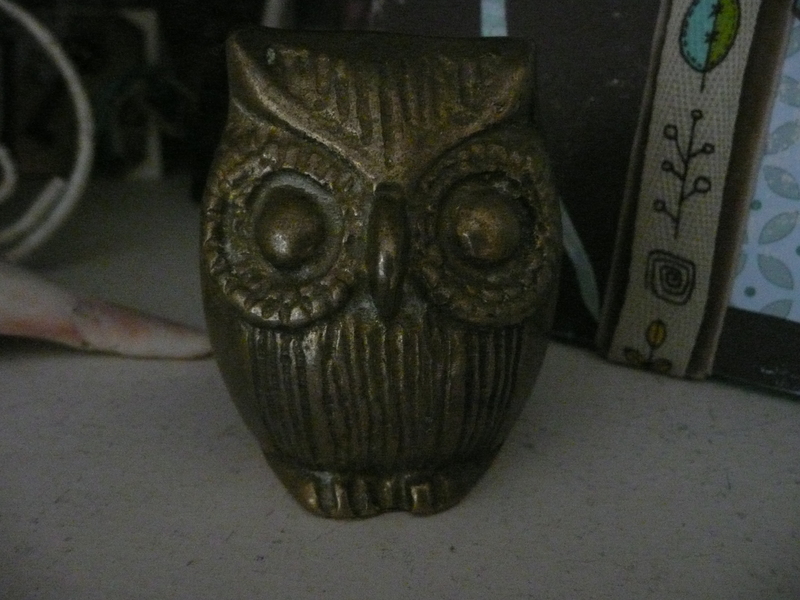 I had seen it on a sitcom we watch and I had said I want to find an owl jar like that…Then on a recent visit to Anthropologie there it was the same little hootie from the show on t.v.! 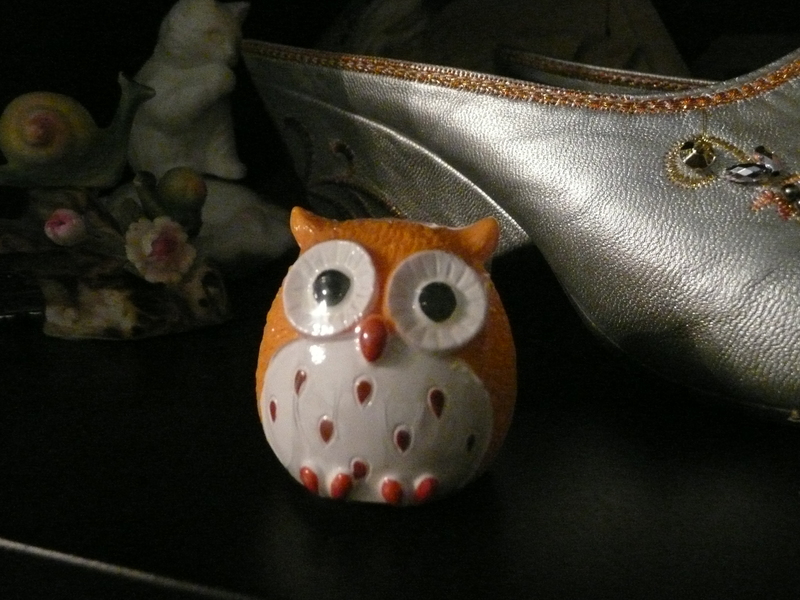 So a few days later this little owl showed up in my kitchen! I filled him up with salt water taffy we just got on our trip to Florida last week. 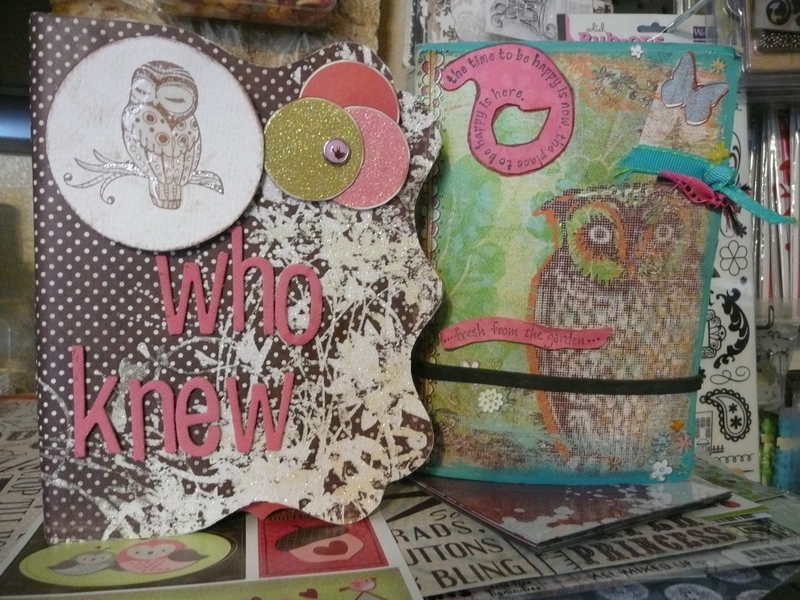 a couple of my themed owl scrapbooks…I love to scrapbook…but I haven’t in a while…time to get busy with my New York and Florida trips! 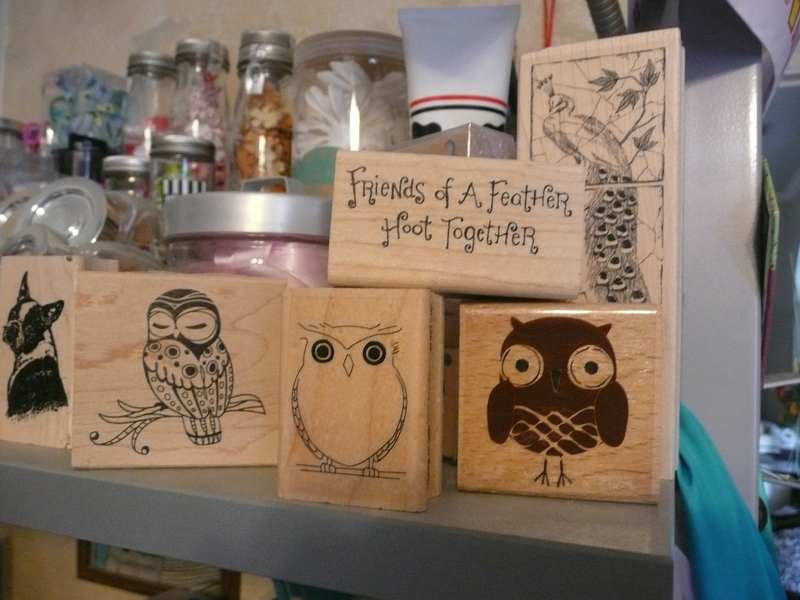 hoot and hooray for some of my little owl stamps! These have been collected over the past few years my favorite place for stamps is Stamp Asylum in Plano…and in New York I love The Ink Pad…and of course Hobby Lobby and Micheals always have great stamps. And if you love stamps Stampin Up has fun stamp sets! 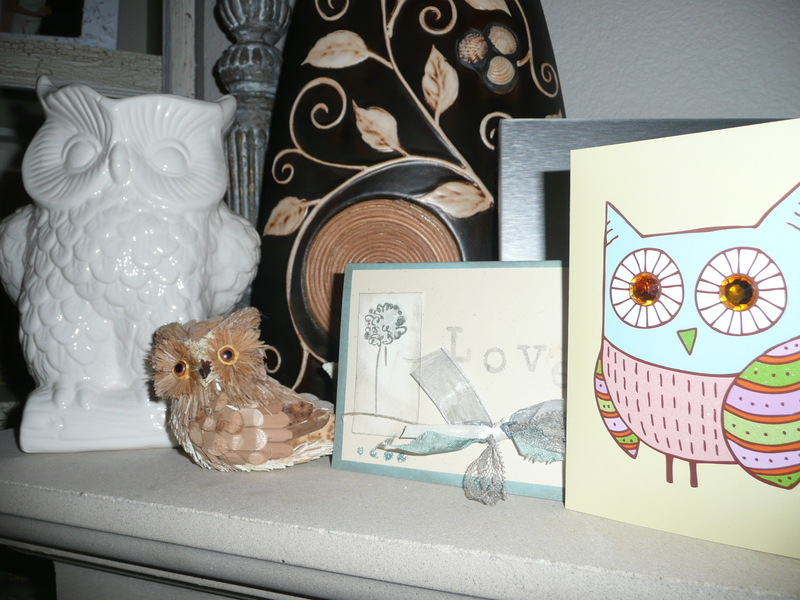 i found this cute little white owl pitcher in Downtown Grapevine recently…and the cute little wood owl in Downtown Mckinney…cute owl card was sent from a friend recently she knows- Who -loves owls! 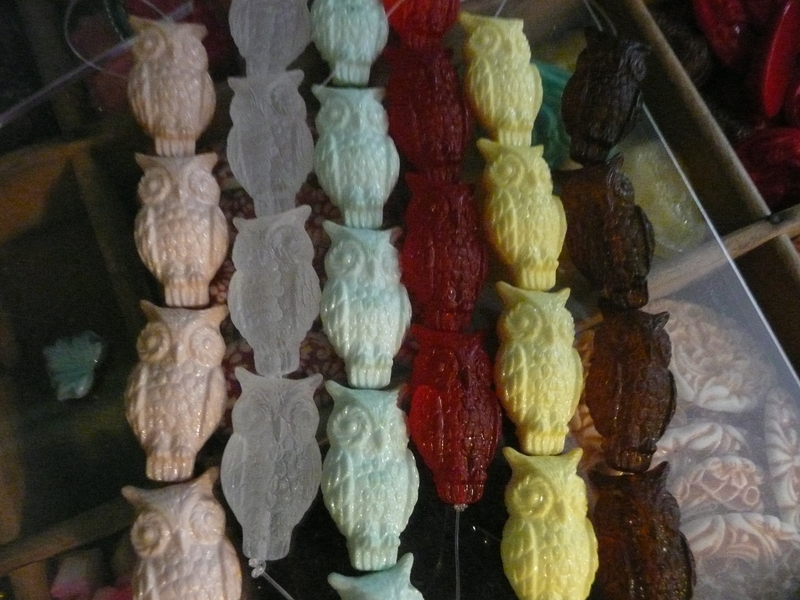 I went to a bead show recently with my daughter-inlaw Emily we had a lot of fun hunting for beads she helped me pick some cool colors out in these vintage lucite owls…stay tuned to see what I design with them! I found this mug that describes me to a tee! 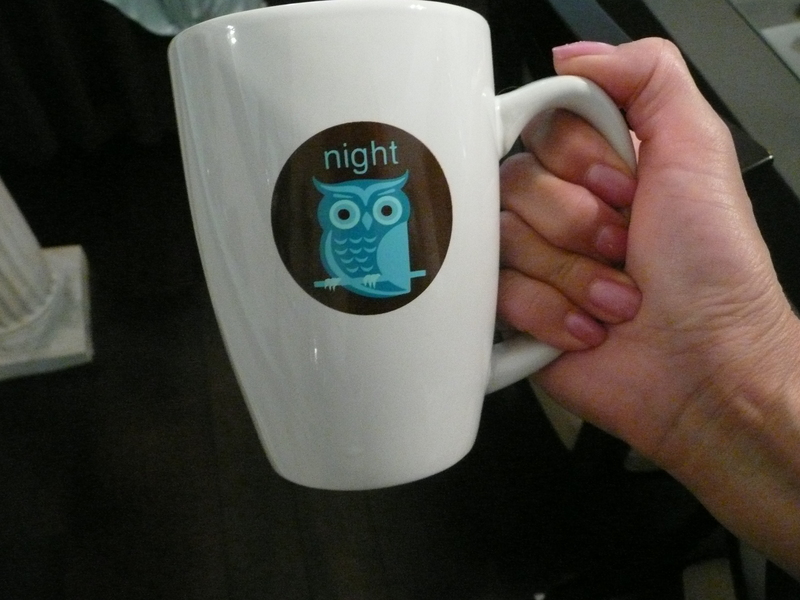 (night owl) That’s me designing till the wee hours…I got the mug in Sea Side Florida recently at Sun Dog Book store…If I ever get done blogging my New York trip I will start On our Florida trip…love this book store stay tuned for some cools pic’s from the inside of this great bookstore! 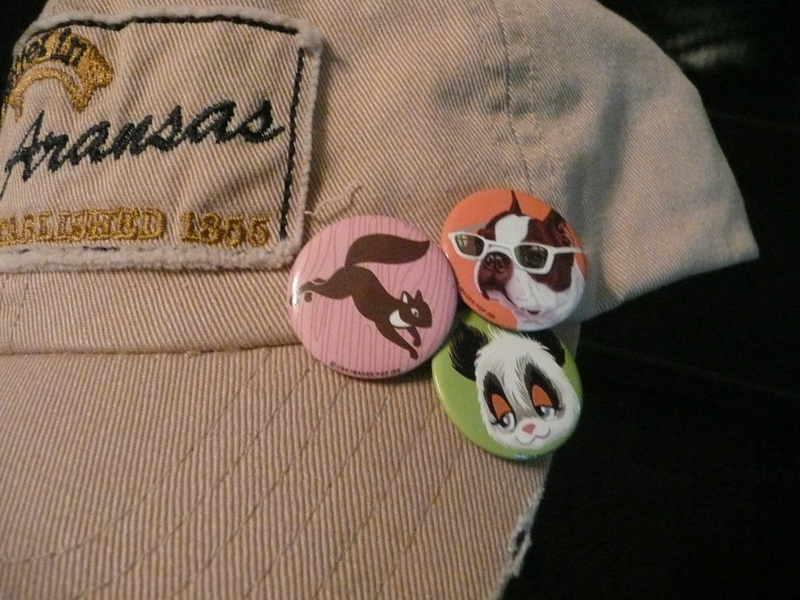 my beach hat with a few of my pins from a scrapbook convention a couple years back. I got these new pins at Central Square Records this is such a cool store located upstairs from Sun Dog book store in Seaside Florida…I will be blogging all about this cool store soon so make sure to check it out! 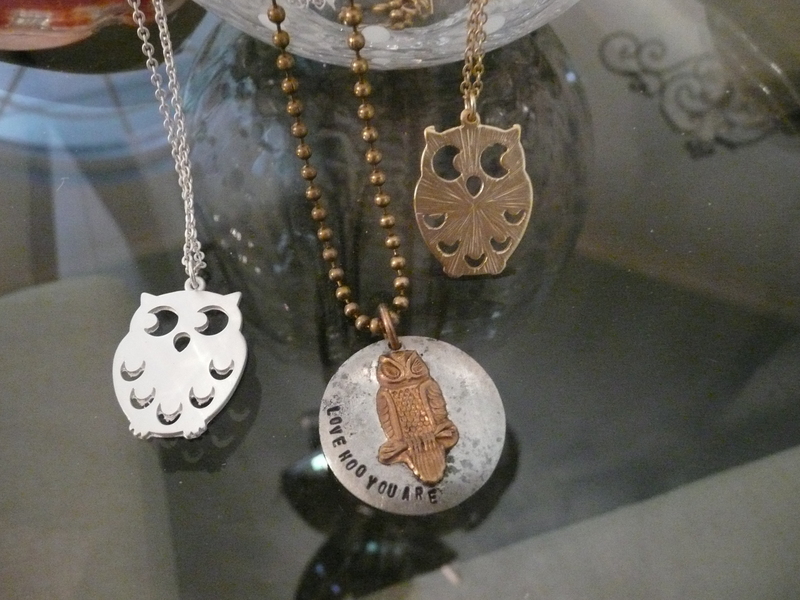 my cute owl necklaces…kev got me the one in the center at The Zoo Gallery in Grayton Beach Florida this was such a cool gallery! And yes I do design jewelry but I enjoy collecting different artist pieces too! Well hope you enjoyed hoot’in it up with me! 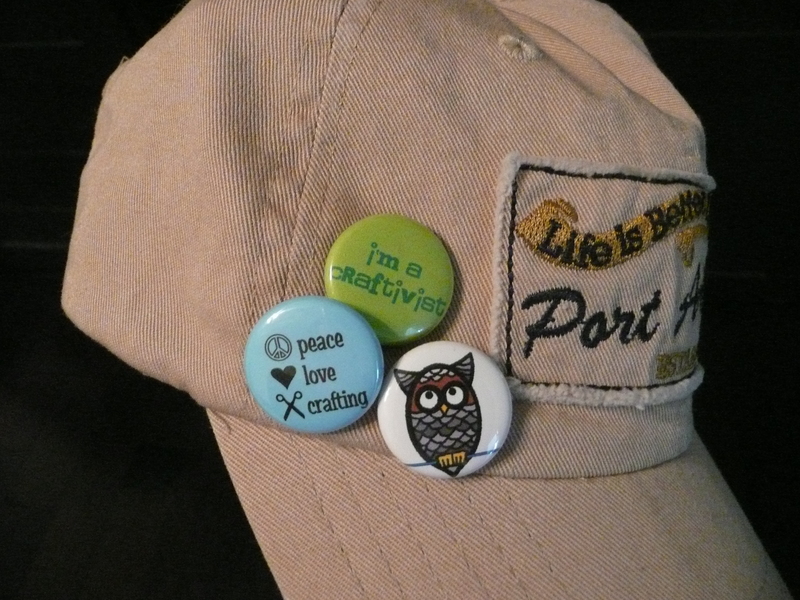 This entry was posted in Personal Happenings, Where To Buy and tagged Anthropologie, beach cap, brass owl, Central Square recods, Grayton Beach Florida, hoot and hooray, hootie, jewelry design, New York, night owl mug, owl, owl cookie jar, owl lipgloss container, owl love, owl necklace, owl pin, owl scrapbooks, owl stamps, salt water taffy, Seaside Florida, Stamp Asylum, Stampin Up, SunDog Books, The Ink Pad, The Zoo Gallery, Urban Outfitters, vintage, vintage lucite owls. Bookmark the permalink.